Okay so I have a new colour crush this week... lilac is totally out! 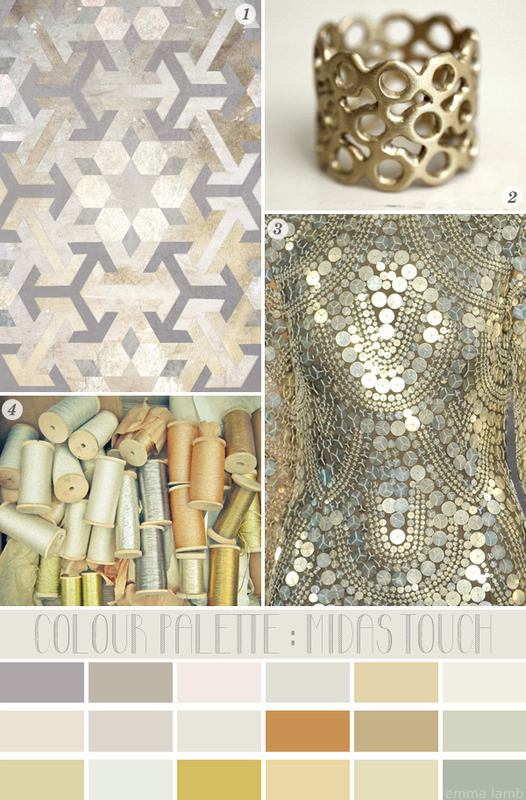 It's fabulous shades of faded golds and soft metallics I'm craving now. A wee bit of sparkle that's maybe not quite so sparkly as it used to be. Soft, subtle, neutral, gentle, dreamy and hazy. I'm also loving the balance of the geometric pattern in these images - the lovely circular patterns of Naeem Khan's sequined dress against Nancy Straughan's Moroccan inspired design is wonderful. Love! Until then I hope you all have a fabulous weekend!